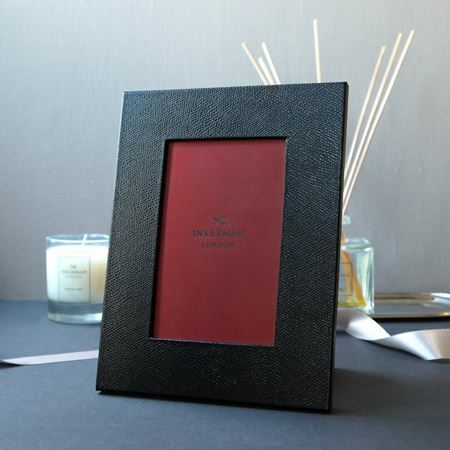 Our high-quality frames have been crafted in the highest quality leather or silver plate and come in a range of sizes to fit any picture or treasured photograph. This silver plated photograph frame is available in three sizes, 4" x 6", 5" x 7" and 8" x 10" (photograph size) and is an Inkerman all time best seller. The frame can be personalised with a date, initials or a logo; please specify below what you would like engraved with the frame standing portrait or landscape. These sterling silver photograph frames are mounted onto a dark blue velvet back. Available in 4 sizes and can be personalised with names, dates and logos. 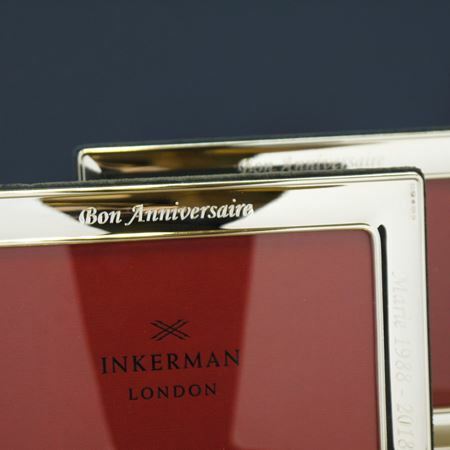 Please contact our sales team at sales@inkerman.co.uk to discuss the various engraving options available. 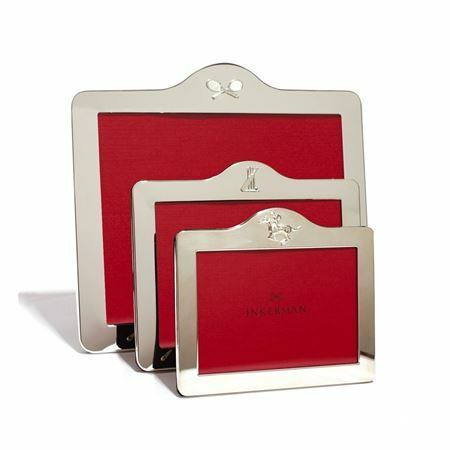 Made in England these sterling silver photograph frames are made to a very high standard with a mahogany wood back and carry the British silver hallmark. Sized at 4" x 6", 5" x 7", 6" x 8" and 8" x 10". 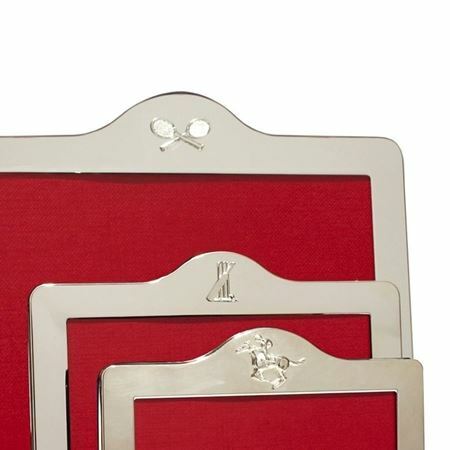 Frames can be engraved with initials, dates, messages or a company logo. Contact our sales team at sales@inkerman.co.uk if you are interested in engraving a logo or crest. 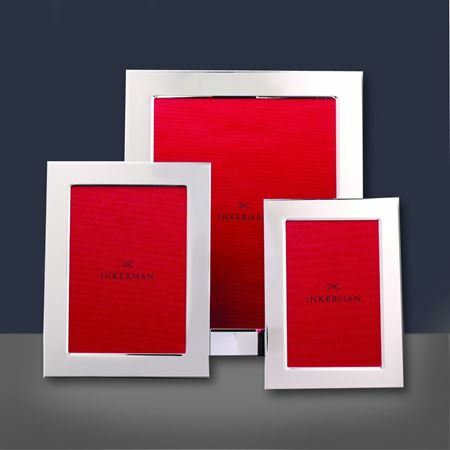 Our picture frames are great corporate gifts as they can be personalised with a special message, or logo.